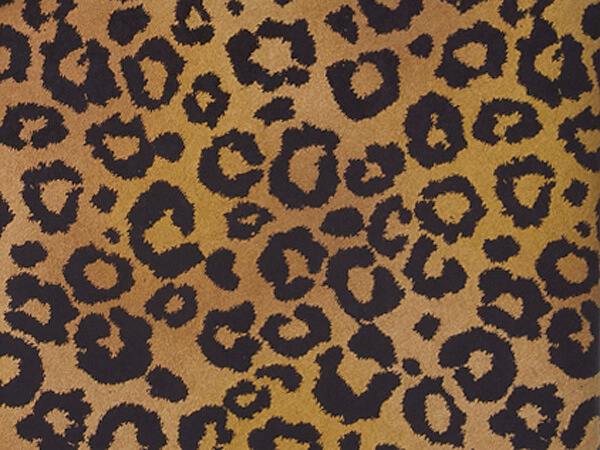 Leopard Safari gift wrap features animal print design on brown kraft. Bulk wrapping paper roll measure 24"x417' and wraps on average 175 gifts. Made in the USA. 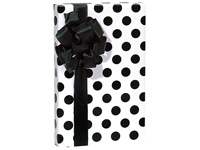 Heavy weight wholesale wrapping paper stocked in half ream rolls of 24" x 417' which can wrap approximately 175 -200 gifts. Multiple patterns for any occasion like baby, children, birthday, floral and geometrics. Available while supplies last.